Albina M. (Marowski) Sitarz, 91, of Chicopee, passed away peacefully on Sunday, March 24, 2019 surrounded by her family. Albina was born on April 20, 1927 in Chicopee and was the daughter of the late John and Cecelia (Ferus) Marowski. She was a communicant of the Basilica of St. Stanislaus Bishop and Martyr. Albina was an avid Red Sox fan. 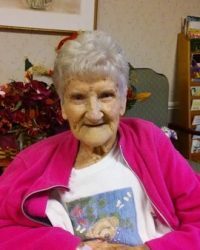 She enjoyed gardening, feeding her birds, painting, ceramics, playing cards and playing her harmonicas. 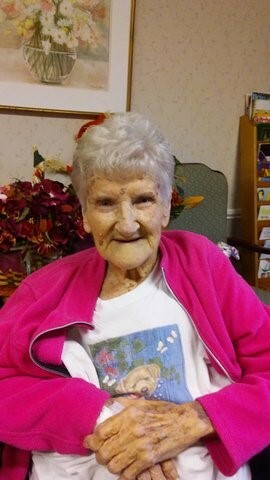 She loved visiting her many friends in Old Orchard Beach, Maine, who all called her “Mom”. Albina loved her animals especially her little buddy, Calvin, her daughter’s cat. She also loved anything to do with nature and wolves. Albina is survived by her daughter, Karen Ann Langone and her husband, Anthony, Sr. of Chicopee, a granddaughter, Brandi Langone of Virginia and a grandson, Anthony Langone, Jr. of Springfield, four great-grandchildren, two great-great granddaughters and many nieces and nephews. Albina is predeceased by her husband, Stanley J. Sitarz, who died May,31, 1995, her brothers, Edward, Stanley and Joseph Marowski and her sisters, Anna Szlachetka, Mildred Godek and Genevieve “Jennie” Connors. The family would like to give a special thank you to Asha Wnek, Albina’s wonderful and compassionate caregiver. Thank you, also to the staff of Western Mass Elder Care and the staff of Trinity Hospice for their kindness and care of Albina. Albina’s funeral will be held on Friday, March 29, 2019 from the Cierpial Memorial Funeral Home on 61 Grape St. in Chicopee Center at 9 am, followed by a Liturgy of Christian Burial in the Basilica of St. Stanislaus at 10 am. Her burial will be in St. Stanislaus Cemetery. Calling hours are on Thursday, March 28, 2019 from 4 to 8 pm. Memorial contributions may be made to the Thomas J. O’Connor Animal Control & Adoption Center, 627 Cottage St., Springfield, MA 01104.